I Heart My Twins Womens T-Shirt Discounts Apply ! 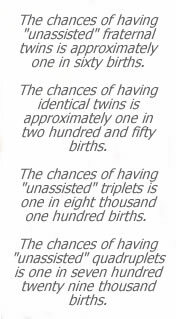 Twin moms need two of everything; why should this be any different? Our "I Heart My Twins" shirt is a favorite of twin moms everywhere. Available in white or gray.